Congratulations to MSD students whose work was recognised at the recent Living Building Challenge Design Awards last week. Pictured: David Ritter, Hui Li Yeoh, Dan Parker, Dominique Hes, Monica Sutisna, Bhargav Sridhar, Peri McDonald, Mary Casey, Claire Murray, Andrew Milward-Bason. All short-listed entries to the Candlebark Award were from MSD students studying the Regenerative Living studio subject, led by studio leaders Andrew Milward-Bason and David Ritter. Congratulations to MSD student Andy Clements, who was part of the team that won the professional category with 'The Difference is Living'. The Living Building Challenge is an international building certification program, advocacy tool and philosophy that aims to rapidly diminish the gap between current limits and the end-game positive solutions in sustainable design and construction. Regenerative Living studio teacher Dr Dominique Hes praised the work of the student entries, reporting that, "the competition judges commented that the design quality of our students' work was so high, their entries could easily have made their mark in the professional competition categories." 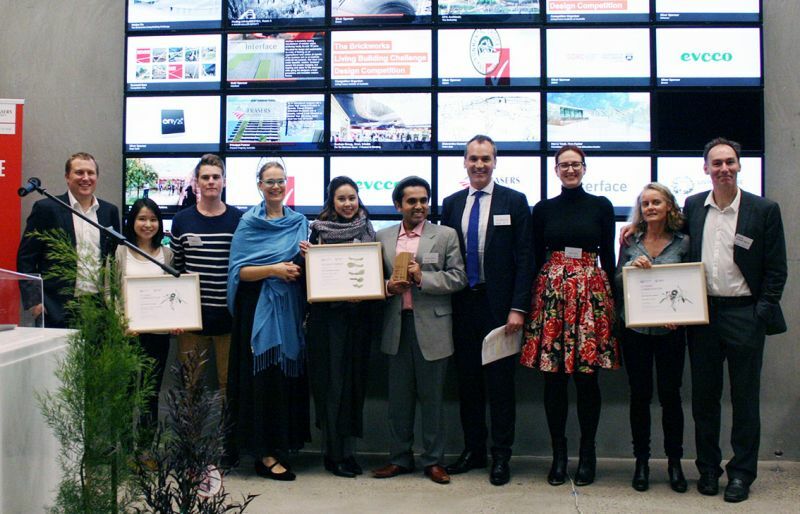 Hosted by the Melbourne School of Design, the awards night rounds out what has been a hugely successful challenge, according to Living Future Institute of Australia (LFIA) Vice-Chair Stephen Choi. “The Living Building Challenge is about shifting perceptions when we design and create new buildings, whether they be homes, office blocks or in this case, a shopping centre,” Mr Choi said. “Instead of focusing on green ratings and limiting ourselves to previous notions of best practice, the principles of the challenge aim to guide the design of buildings that generate a positive, living impact." In Australia, the Living Building Challenge is coordinated by the Living Future Institute Australia, part of the International Living Future Institute. The Living Future Institute Australia (LFIA) was established in 2012 as a visionary hub for restorative programs and action.